Every new product from Quartz often offers a lot of bold ideas. Since its creation in 2013, the business news website always aimed to push the boundaries of news product design — whether by favoring a web app, killing the homepage, or creating the world’s coolest newsbot. On its first day under its new owner (Japanese media group Uzabase), the outlet refreshed its website, which is now more unique than ever. 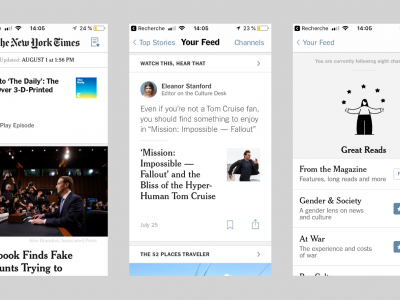 Try it on your smartphone, you’ll find a tab bar which invites you to navigate its distinctive content: featured projects, so-called “obsessions”, and newsletters (with a great form design!). Note that the tab bar is customized on each one of the site’s verticals. Otherwise, the site seems blazing fast and uses small animations to load articles, which is quite pleasing. The new font pairing (Maison Neue for headings and the usual PT Serif for body text) fits very well with Quartz’s authoritative-but-offbeat identity. And the homepage is alive and well, with a destructured grid that looks like no other. 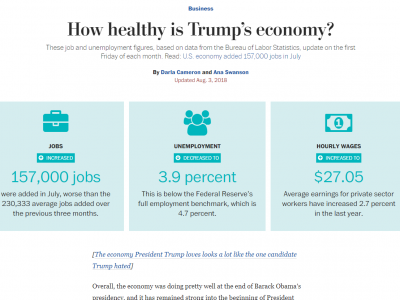 Next How healthy is Trump’s economy?